A successful nutrition education program is getting a new name to make it relevant and accessible to more audiences. FoodWIse, formerly known as the Wisconsin Nutrition Education Program, or WNEP, has a long legacy of providing nutrition education to Wisconsin families and individuals with limited incomes. While the program remains strong, much has changed at the national, state and local level since it first began. FoodWIse, University of Wisconsin-Extension’s nutrition education program, is a federally funded effort that seeks to empower Wisconsin residents with limited incomes to make healthy choices to achieve healthy lives and reduce health disparities. Program funders include the Supplemental Nutrition Assistance Program-Education (SNAP-Ed) and the Expanded Food and Nutrition Education Program (EFNEP). 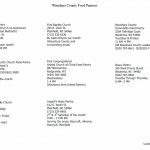 In 2016, FoodWIse worked in 66 of 72 Wisconsin counties. FoodWIse employs a combination of tested educational strategies designed to help people choose healthy foods and active lifestyles. FoodWIse nutrition educators work out of county Cooperative Extension offices and in collaboration with state and local partners. To learn more, visit the FoodWIse website at fyi.uwex.edu/foodwise or contact the Waushara County UW-Extension office at 920-787-0416 or find us on Facebook at facebook.com/waushara.uwex. 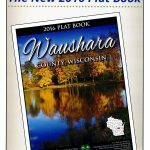 Waushara County Land Atlas & Plat Books are available at the UW-Extension Office and several other county locations for $30. Platbooks are a convenient reference for local governments, businesses, and the general public. Proceeds go to Waushara County 4-H help fund various 4-H programs. Waushara County platbooks are published every three years. To purchase a plat book, contact the Waushara County UW-Extension office at 920-787-0416. They are also available at most banks in the county.